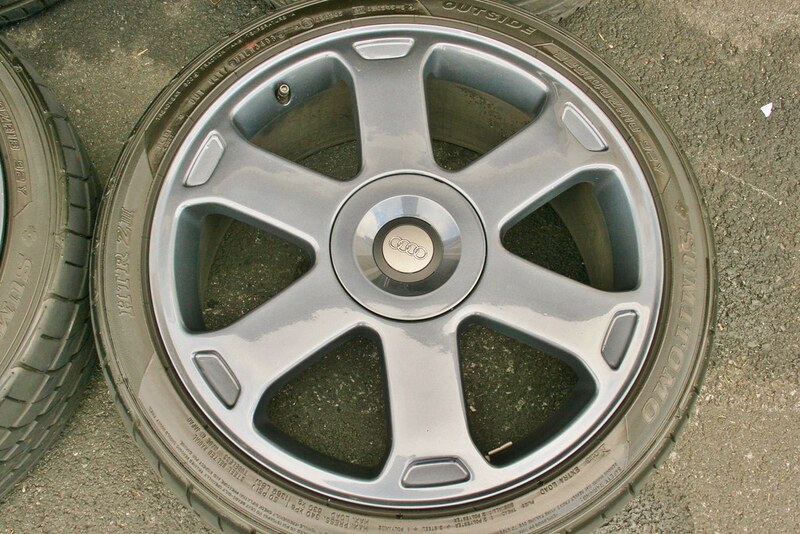 D2 Audi S8 Avus wheels 18x8 fresh gunmetal paint and great tires! SOLD SOLD SOLD SOLD SOLD !!! 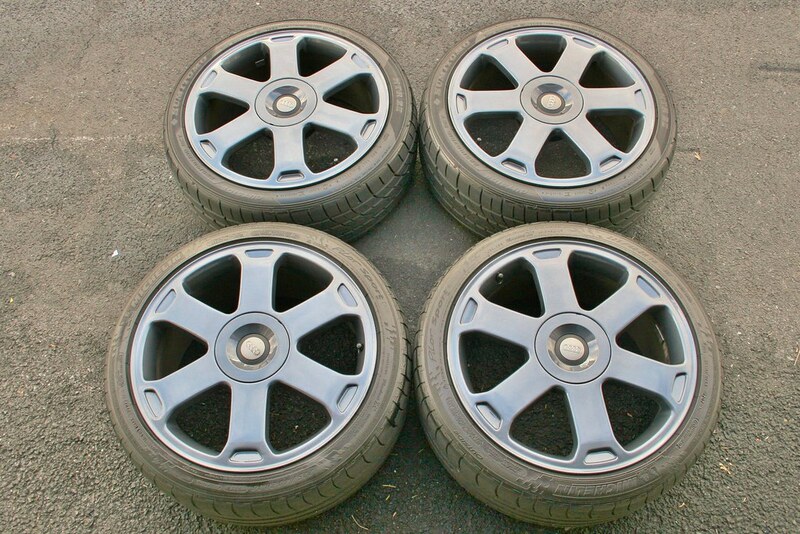 I have a set of Audi S8 wheels from the first generation D2 chassis. 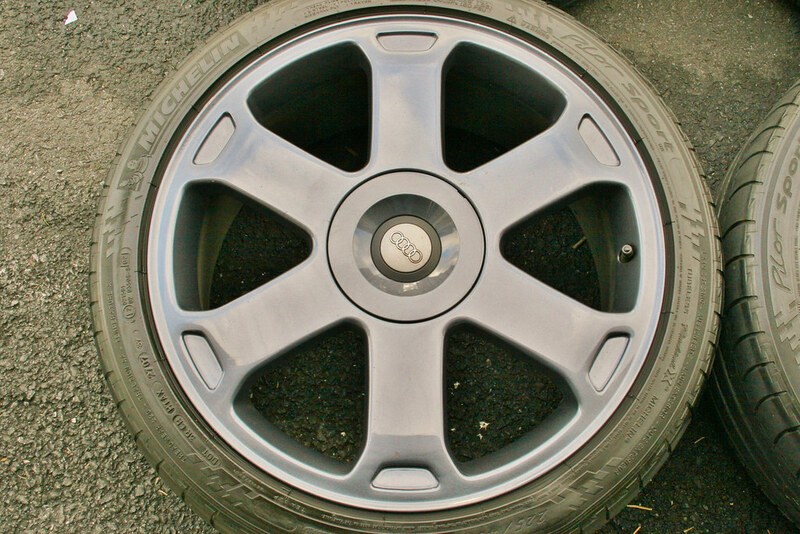 They are the Avus design, same exact style as the B5 S4 wheels but in 18x8 (instead of 17x7.5) so they are a great upgrade for the smaller cars. 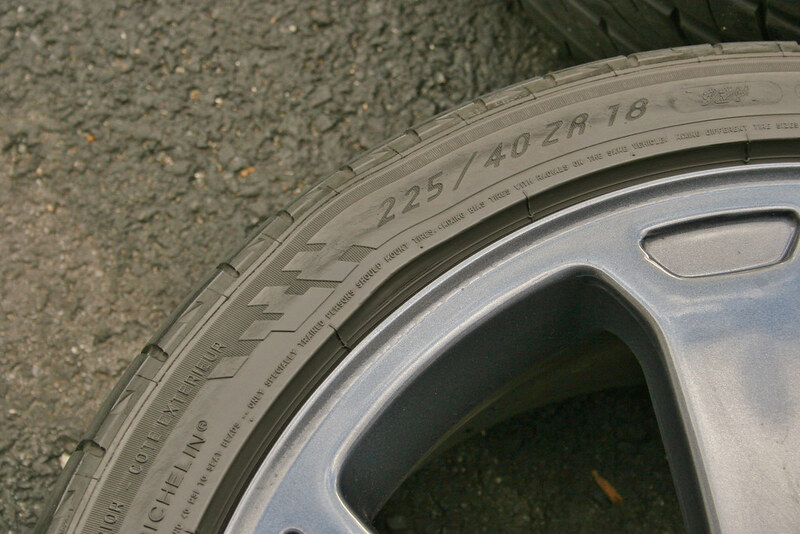 The offset is ET48, the bolt pattern is 5x112 and the center bore is 57.1. 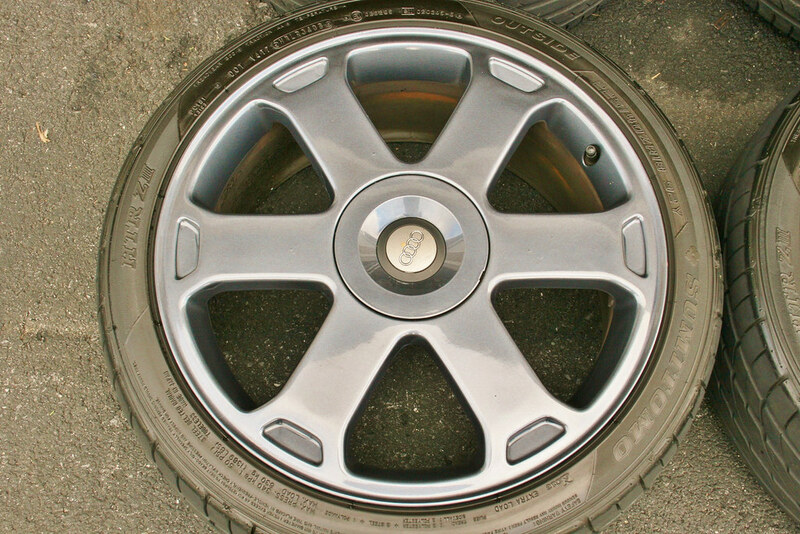 They were refinished pretty recently in a nice gunmetal gray color. One of the close-up pictures shows the hue very well. It has a nice sparkle to it and a very very faint hint of blue, just like real gunmetal. When the sun hits them they look fantastic. Unfortunately it was overcast when I took the pictures and they don't really do the wheels justice. There are no bends or cracks and they are in great overall shape. 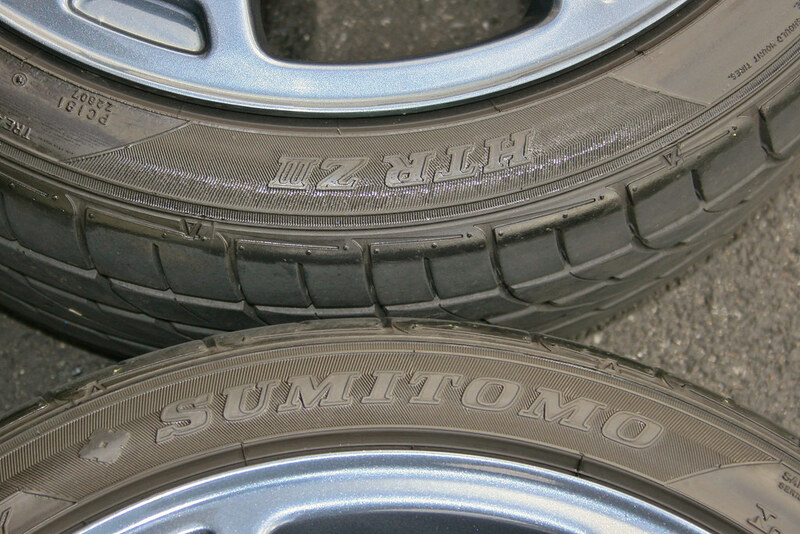 Two of the tires are Michelin Pilot Sport and the other two are Sumitomo HTR ZII. 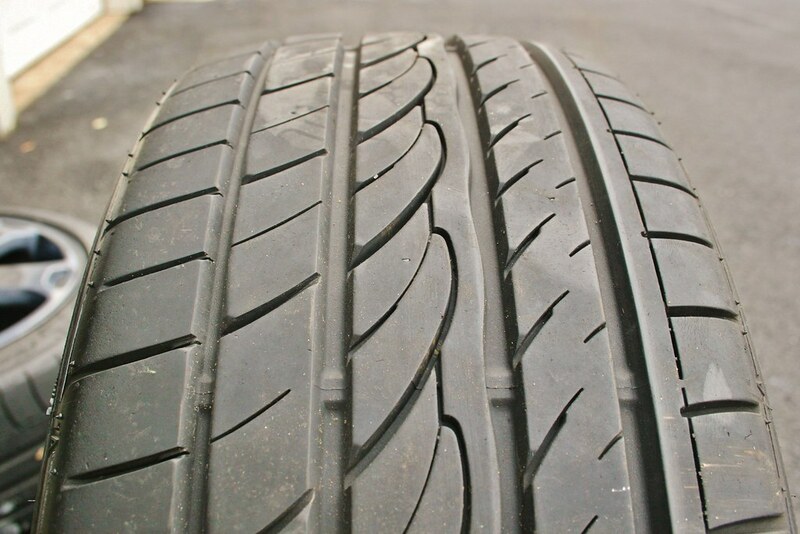 All 4 with at least 70% tread left and their size is 225/40/18. 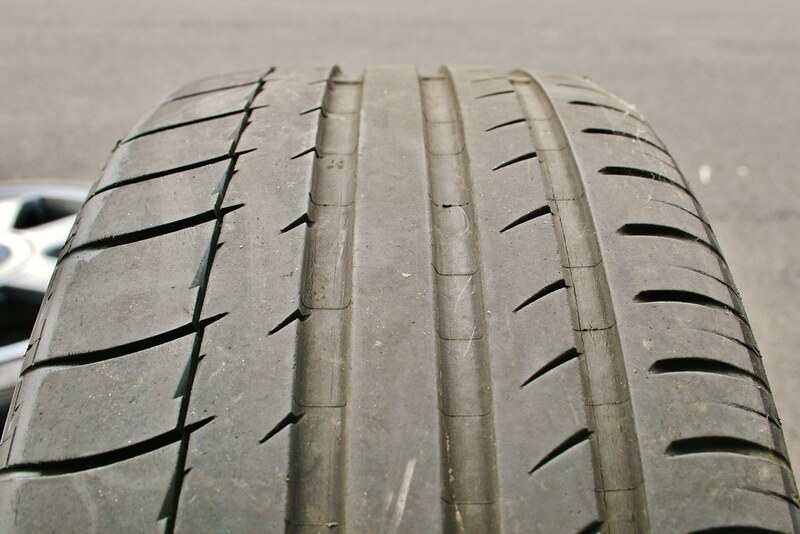 One tire has a tiny bubble but it's hardly noticeable and I drove on it this way for about a year with no issues. One of the pictures shows this. I'm asking $800 and I'm located in the DC area. Send me an e-mail with any questions. I am looking for a quick sale! Last edited by AudiSport44; 03-18-2015 at 02:04 PM. 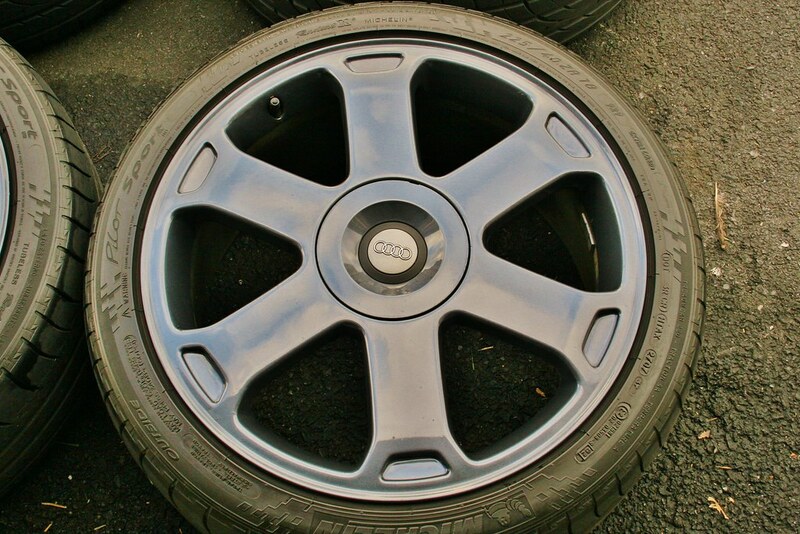 Quick Reply: D2 Audi S8 Avus wheels 18x8 fresh gunmetal paint and great tires!